Riding on two wheels is one of the greatest adventures of life to enjoy in. When done properly, bike riding is the most phenomenal experience of your life filled with enjoyment and satisfaction. Still, to do it properly you have to pay attention to safety and equipment, especially best motorcycle helmets. My father always emphasized that safety comes first but I kept on ignoring his voice like most teens, and one day I’ve had an accident. My bike was totally smashed after hitting the car; luckily I got no major injury and recovered soon. 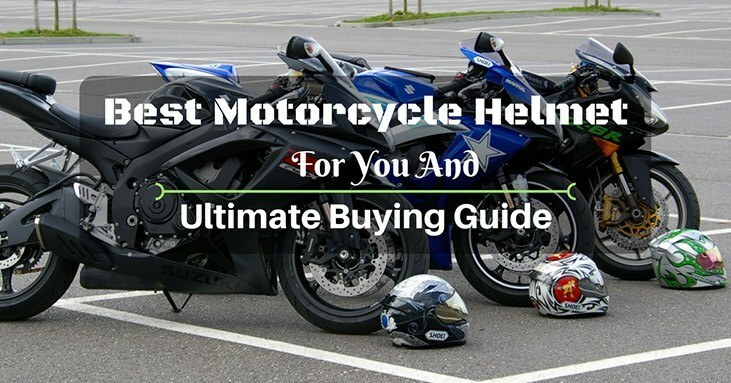 2 Infographic – How to Choose the Right Size Motorcycle Helmet? One of the features that deserves to be highlighted about this model is the 3D Max Dry System II Liner. The latter is basically the one responsible for absorbing sweat, which will help to keep your head dry when it is worn. However, this can also be problematic. This can lead into a foul odor after a prolonged time. 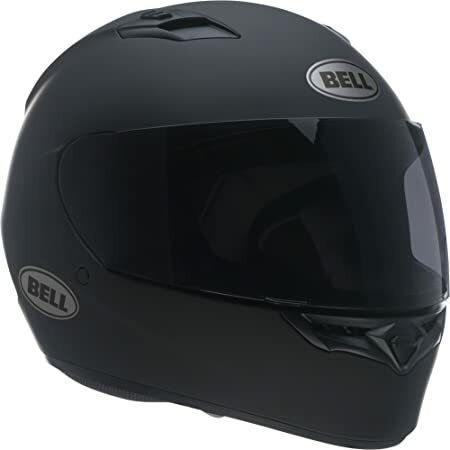 This full-face helmet from Bell is a great buy . It is designed to be highly aerodynamic with little or no buffeting even when you are riding at high speeds. You can open the side and top vents quickly to allow greater air flow through the helmet to keep you cool during hot days. By safety standards this helmet is DOT approved and fits the regulations for safety. Any beginning bikers who need a helmet or experienced bikers looking for any easy, cheaper helmet can get a lot from Bell’s Qualifier helmet. It is well designed for riding, although the excessive wind and lack of a chin curtain make it a little impractical for use in a cold weather or by those who want a ride without noise. 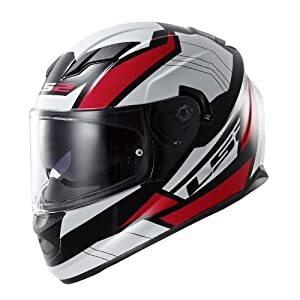 This helmet brings great value for the money as it is cheaper than many others on the market and it comes with enough features to provide you a good riding experience. With this helmet, you will be getting a bargain. It’s built with materials of a slightly less quality to fit into a very low price range. The inner padding is comfortable and can be removed for washing. The face guard on the helmet can be opened and raised so you can ride with it opened to block the sun or increase visibility when necessary. There is a pair of shades built into the front inner side of the helmet that helps protecting your eyes from the sun and wind. The design of the sun screen, visor, and face guard raising mechanism all look and work very well. Visors and interior sun shades are all interchangeable if you want to invest in a different set to match your needs more specifically. Quick-release levers make the exchanging process easy. All riders who just need helmet that gives them a lot of options for riding will be able to get their money’s worth from this product. It is not an expensive helmet, so it’s great for the riders who are just beginning or who are testing out their rides. It’s important to note that the sizing of these helmets runs a bit small, meaning you should not order the size you wear regularly and get a larger one. Other than this fact, there are not a lot of complaints about the general quality of this helmet at this price – you get what you pay for. Infographic – How to Choose the Right Size Motorcycle Helmet? You cannot buy a life but you can take appreciable measures to protect it from prospective misfortunes. To maximally outweigh the risks of bike riding, top-rated motorcycle helmet is mandatory. But, many of you might be not aware of what to look for while picking the most comfortable and valuable helmet. Read on and find out. The next thing to consider is whether you take weekly road trips or commute to work, or planning to ride. If riding is your everyday need then higher-end motorcycle helmet will bring more comfort. It will provide better dynamics along with the reduced wind noise. If you ride in groups to enhance your overall riding experience or just for fun with pals, you should opt for a helmet with a built-in communication system. The reason for that is – communication is the main element in group riding. On the other hand, if you are participating in a competition, you should try to get a high-end, and extra durable helmet with navigation provisions (usually expensive). Bluetooth motorcycle helmets are also in vogue because they assist in making things even better. Little costly but you can have the helmet with the system either already mounted or ready to install with your current setup. Adventure-touring bikers prefer to have Modular helmets, permitting them to raise the face shield when needed. Cruiser riders love to enjoy the breezy style and therefore, favor Half-Shell helmets the moss. These helmets are not suitable for casual riders. 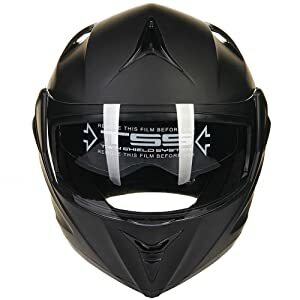 Sportbike riders need the most safest helmets. A full-face helmet is the best option as it provides elite all-around protection because of the solid chin bar and flip-up shield. If you choose a helmet merely because it is attractive or having alluring graphics on it, then you are mistaken my friend. Helmets come in a variety of styles from Full-Face to Modular and Off-Motorcross etc. Commonly used in professional racing, this helmet completely covers the rider’s head and face. It has a fixed chin bar and a Visor that closes fully to cover the face providing maximum protection. This Flip-Up helmet is designed to give you the option to get any of the Full-Face or Open-Faced Helmet as you prefer. This means you will get two helmets in one and also a movable chin bar making it more convenient to use. It offers good safety. This‘three-quarters’ helmet has no chin bar means it will secure your ears, cheeks and back of the head. Also called ‘shorty’, this helmet gives protection to thetop portion of the rider’s head but not to remaining facial and neck parts. This helmet style is popular but least protective. Usually combined with goggles, this helmet is exactly what you need for competition or off-road riding. In addition to the unique appearance, it features an elongated chin bar plus a sun visor offering premium protection. Always get a helmet in the right size that fits perfectly on your head. Purchase from the manufacturer who offers a wide range of sizes. Keep the weight factor in mind while choosing the helmet. Avoid picking heavy helmet as it will wear you off especially on long rides. To achieve the right fit, try different padding on helmet’s interior. 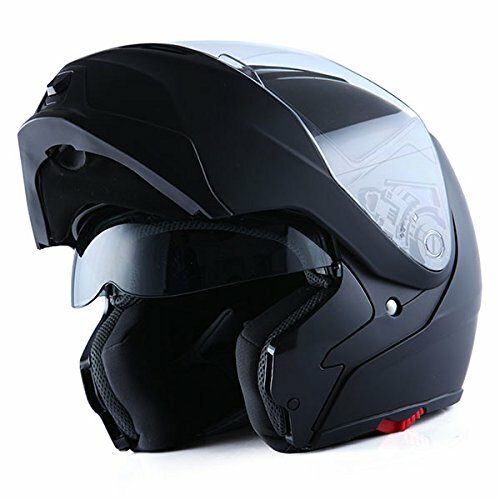 Another important aspect while looking for a top motorcycle helmet is your head shape. Size and fit of the helmet are actually linked to this factor. In general, head shapes fall into three categories; Round, Oval and Round Oval. No worries if you don’t know what exact head shape you have because almost all manufacturers take this factor into consideration as they design the helmets. Ensure that whatever helmet you choose, it perfectly fits your head shape. Remember, you need comfort if you ride for the long periods of time. First of all, bear in mind that shell/protection/liner is not the helmet’s padding. Inside the rigid outer shell of the helmet, there lies impact-absorbing liner and then the padding in innermost side. Shells are typically composed of polycarbonate plastic or fiberglass. You need strong liner made of quality impact-resistant material like Kevlar or Carbon Fiber;there are Patented Manufacturer Materials as well. You can check the material of liners manually, which will give you the most accurate measure. Nothing beats checking by hand. Do not forget the ventilation factor. Even though the sole purpose of a helmet is to provide protection,ventilation should not be overlooked because you need enough airflow. When choosing a helmet, always look for the number of vents as well as their positions to ensure if the helmet has enough airflow. You should also look into some other features like padding, visor and graphics etc. Check if your preferred helmet is tested and certified. If not, then avoid purchasing and get the one fulfilling all important road safety requirements. When you’ve noted and understood the safety ratings and key features, shortlist the few models (3 or 4 would be enough) that suit your needs. You can enlist the models either of the same brand or from different brands. Keeping your finances in mind, compare these models and it will help you choose a top-rated motorcycle helmet. The car is more like steel cage with fiberglass coverings making you feel safer. However, while riding a motorcycle, there is no protective shield in between you and the road or other vehicles. Therefore, you need all the possible protection you can get. The helmet is the most necessary item in this regard. This is why I am recommending you to visit as many retail stores selling motorcycle helmets as you can. Try on several helmets and always look for the safety standard stickers attached to them. Let me tell you what else you must need to consider while buying a top motorcycle helmet. Check the helmet’s manufacturer and its credibility in the market. What models are available under certain brand? Get the one that will fityour head the best and add more value to your overall appearance. Comfort is aspecificfeature, unique to you and not anybody else. I might feel comfortable with full-face helmet only; on the other hand,you might prefer modular.Generally, the comfort level goes up with a better fitting helmet. You will get only what you pay for. So, it is all about your budget and availability. You can have a helmet costing you under$100 orup to $1000 or above. Branded helmets usually have steep price tags. When you get a helmet like that, remember that besides the product, you’re paying for a brand as well. A motorcycle helmet is the most useful safety gear that prevents injuries. In an uncontrolled environment, it is near to impossible to avoid a crash or prevent the impact. But,if you have a helmet securely attached to your head, you can have fair chances to minimize or even prevent severe head or brain injury. While using a helmet, you need to be extra attentive and always take the things mentioned blow into consideration. Keep your helmet clean and well maintained. Ensure the proper working of the chin strap. It must not be loosened. Ensure that your helmet is perfectly fits your head. Do not forget to close the straps or else it will be totally useless. Keep checking for the tiny inner cracks. Get your damaged helmet replaced immediately. Do not take your helmet off while you are on the bike. Make sure that ventilation system is seamlessly functional.Keep the helmet out of children’s reach and at a safe place. Heavy helmets can hurt little kids. 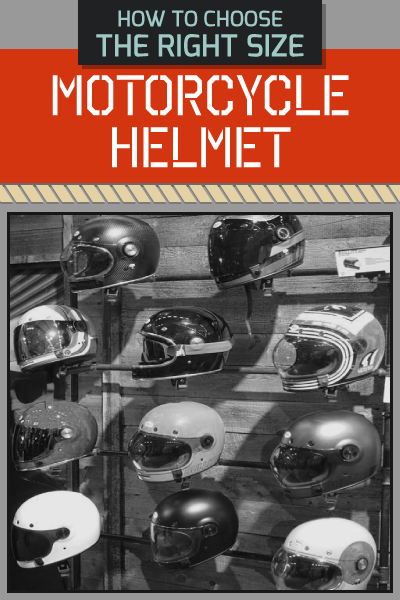 The helmet is a must-have s﻿﻿afety gea﻿﻿r for motorcyclists. There is a constant risk of getting injured because of the open design of motorcycles. The ratio of teenage motorcycle is high because youngsters do not take the advice about wearing the helmet much serious. Below are listed the key benefits of using a motorcycle helmet. Helps avoiding fatal head injuries. Promotes the sense of responsibility. Protects your eyes and face from the wind and dust. Offers a maximum defense against hot to frigid weather. Give optimum shield from flying objects (gravel, insects, twigsetc). Improves the comfort level by reducing wind noise. If you are riding a motorcycle, there is one thing that you will definitely need – a helmet. Depending on where you are living, its use is mandated by law. More importantly, it is important for your safety as it will prevent serious head injuries in the event of a crash. With this, it is important to choose one carefully. Among others, one of the most critical considerations would be its size. In this case, keep on reading and we will provide you with some tips on how to choose the right size of motorcycle helmet. When it comes to choosing a helmet that comes with the right size, another important thing that you should be doing is to try it on. Keep in mind that different manufacturers will most probably have different sizes. It would be best if you can go to an actual store and have the helmet fitted. Do not fit just one helmet or one brand. Try as many as possible to find one that will be best fitted for your head. Once you are already wearing the helmet, secure the chin straps. Make sure that you can be able to place two fingers comfortably and this should be the space between the strap and your jaw. Fortunately, many helmets have adjustable chin straps, allowing you to configure the fit as needed. Your face can be long, narrow, round, or oval. This is important to determine so that you will be able to find a helmet that can offer the highest level of protection. More often than not, looking at the exterior of the helmet is not enough. Keep in mind that there is a padding inside the helmet, which can affect its size, depending on how thick it could possibly be. You should also rotate the helmet.Once it is already worn turn it left and right. When it is too loose, this is an indication that you have chosen the wrong size. You must be able to feel the pressure points to be guaranteed that it will deliver a snag fit. If it can freely rotate on your head, it will not be capable of delivering the protection that you need. Before you finally decide that it is indeed the right choice for you, it is important to have it worn for a few minutes. The most important thing is that you are comfortable with the helmet. If you feel uncomfortable after a few minutes, try another one. It will be hard for you to concentrate riding your motorcycle when you are wearing a helmet that is annoying. If it is too tight, it could apply too much pressure on your face, and in the end, can be painful. 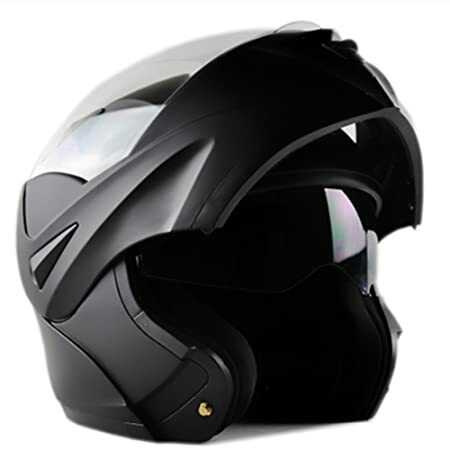 Today, a lot of motorcycle helmets from different brands are available on the market. Therefore, it is not a straightforward job to select the most suitable one, in line with your needs, safety and budget. 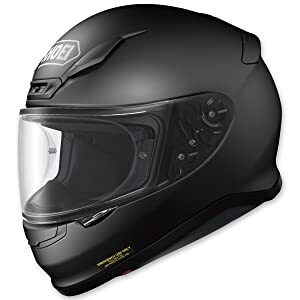 Models to sizes, features, accessories and additional functions usually make it more complicated for the buyers, especially the ones who are about to purchase a motorcycle helmet for the first time. No matter which bike you use or what kind of a rider you are, the general rule to follow while picking the best motorcycle helmet is the protection it can provide. Always try to opt for the quality safety features regardless if it entails paying a little extra for it. Do not forget that your life and safety do not have any price tag. It is simply priceless, so, at all times, get a hold on the best for your money.